Posted by Stuart Herbert on September 28th, 2008 in News, Photos. My photo of the graffiti outside the old Treforrest Tin Works has become my second photo to make it to 1,000 views on Flickr. This was a real surprise, as the photo only had a couple of hundred views just a few weeks ago. 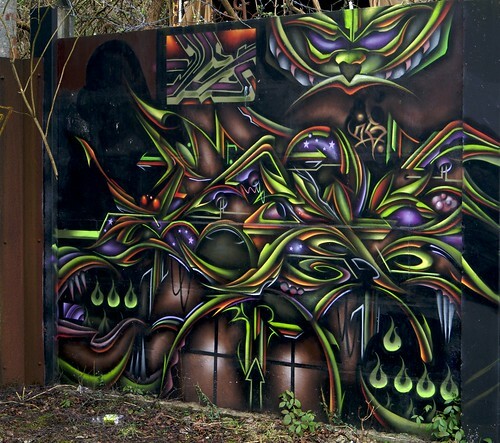 On 14th September, this photo was featured in Smashing Magazine’s Tribute to Graffiti, (which sadly has been ripped off without attribution on a number of blogs), and since then the photo has been very popular. I don’t know who created this excellent piece of art, or how long it had been there before I took this shot. Whoever the artist is, he/she/they clearly have a gift, and I hope they’re able to find both success and happiness through that gift. Posted by Stuart Herbert on September 7th, 2008 in News, Photos. This photo of the lower gun deck of HMS Victory, taken in November 2006, has become the first of my photos to reach 1,000 views on Flickr. I’m really pleased that it’s this particular photo that’s the first to rack up 1,000 views. On the technical side, it’s a great example of what the Nikon D200 and Sigma 50mm lens combo can achieve without the aid of either Photoshop or HDR processing. 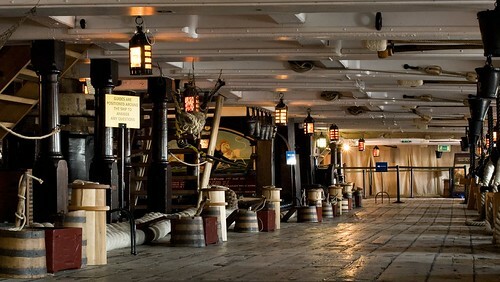 As a subject, it gives folks who have never been to HMS Victory a great idea of just what it looks like below decks. I’m biased, for sure, but this is exactly how the lower gun deck looks – complete with the low roof (hence the widescreen-esque crop)! Posted by Stuart Herbert on September 3rd, 2008 in News, Photos. Here are the 110 photographs of mine that visitors to Flickr have chosen as their favourites. Got a favourite that you don’t see below? Head on over to Flickr and mark the photo as a favourite now! Posted by Stuart Herbert on September 1st, 2008 in Photos. Photo-sharing sites like Flickr are an amazing resource for amateur photographers. Before the web, and before sites like Flickr, amateur photographers simply didn’t get to see all that much of other people’s work. That has been changed forever, and now the challenge is sorting through the absolute deluge of postings to find the photos that truly inspire, educate, and above all connect with us on some level. Here are the 269 photos from my favourites list on Flickr, 269 photos taken by other people and that I enjoy for one reason or another. If you like these photos, please don’t just look at them. Let the people who took these photos know that you appreciate their work by leaving a comment on the photo’s Flickr page … or maybe even marking it as a favourite of your own. If you’ve posted your list of favourite photos from Flickr online, please leave a comment to let everyone know, so that we can enjoy them too. Posted by Stuart Herbert on September 1st, 2008 in News. After unexpectedly winning the weekly MyPlace competition (with a photo uploaded to MyPlace last year), I’ve decided to have another go, to see if I can win again. This time round, I’ve submitted what is probably my other favourite shot from last year – Mumbles Head and Lighthouse. If you like the photo, please vote for it at the MyPlace website. 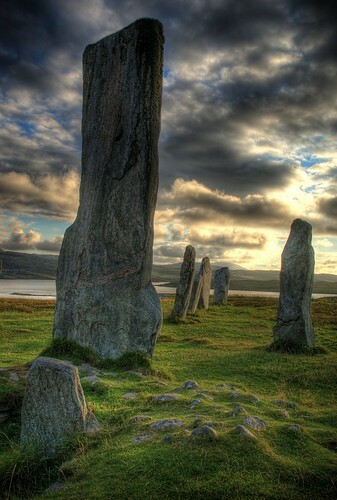 My HDR photograph of Calanais At Sunset has just been voted a Weekly Winner at the MyPlace website. (I’d provide a link to the photo on the MyPlace website, but their site design makes that impossible alas). To be honest, I’d completely forgotten about MyPlace, the Panasonic social network setup last year by Panasonic. My prize is a voucher for 75 towards the cost of a new Panasonic camera, and it’s good until 31st August 2009. I’m not looking for a new camera atm (unless someone wants to sponsor me a D700 😀 ), so I think I’ll wait until next summer before taking my prize. A huge thanks to everyone who voted for my photo!